Meals are served in a well-lit winter garden where I had my dinner listening to some evergreens. 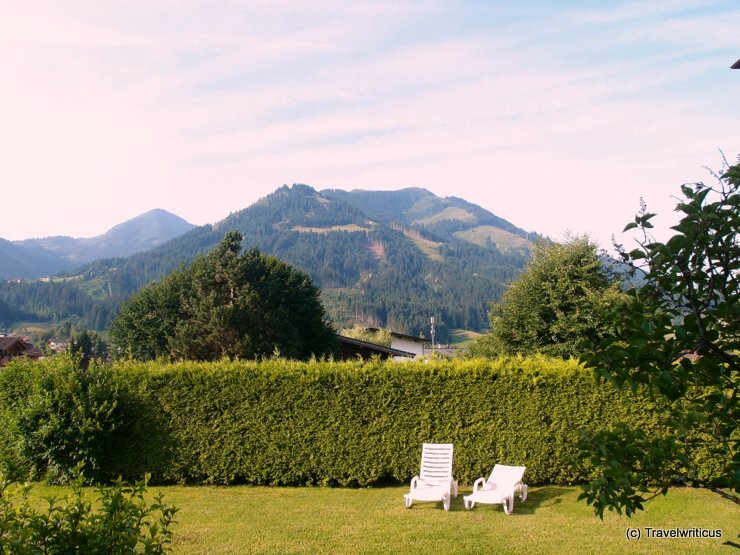 For breakfast at the next morning I took the chance to go outside having a good view at the nearby lawn for sunbathing and at the surrounding mountains. 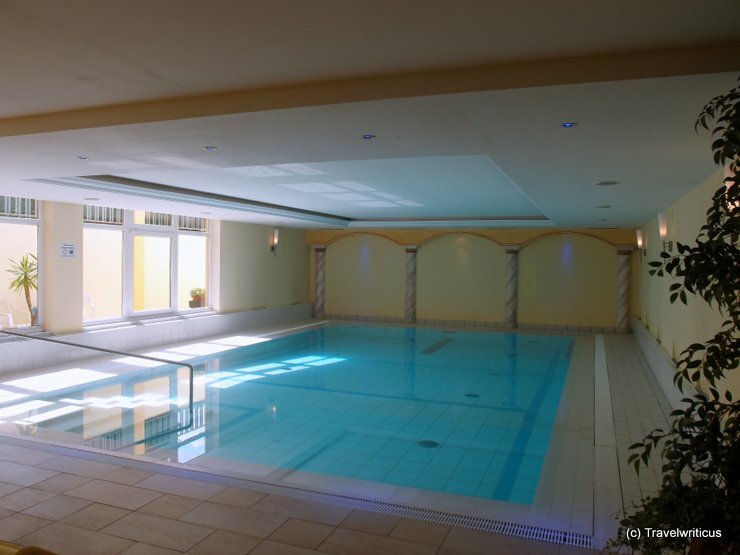 For relaxing the hotel offers a spa area with indoor swimming pool, sauna, solarium and fitness room. The fitness room offers a broad selection of gym equipment ideal for circuit training. Special feature: The hotel arranges breakfast high up in the mountains once a week. 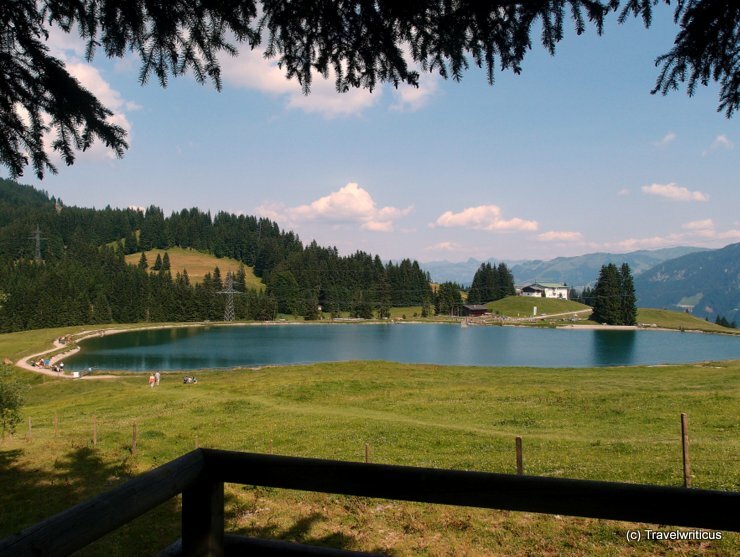 Early in the morning a bus take the guests to the Filzalmsee Lake. After a short walk the early birds among the hotel guests are having breakfast in the light of the uprising sun while watching at the mountain tops. 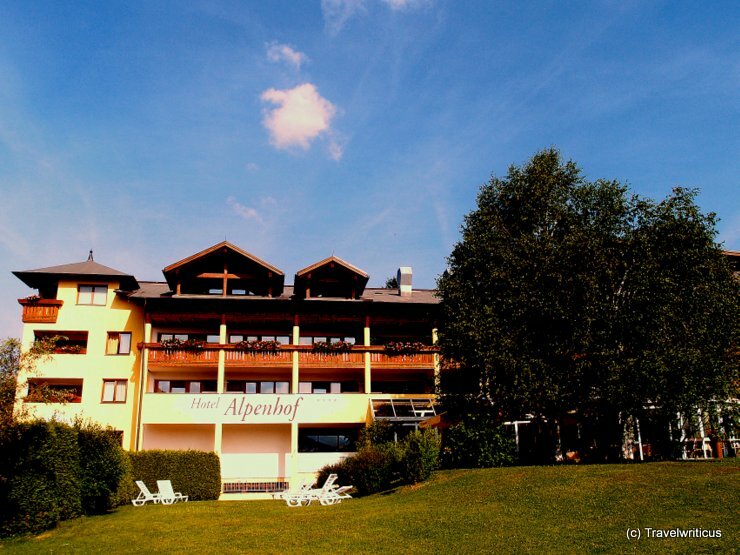 This entry was posted in Accommodations and tagged Austria, Brixen im Thale, Tyrol by Travelwriticus. Bookmark the permalink.